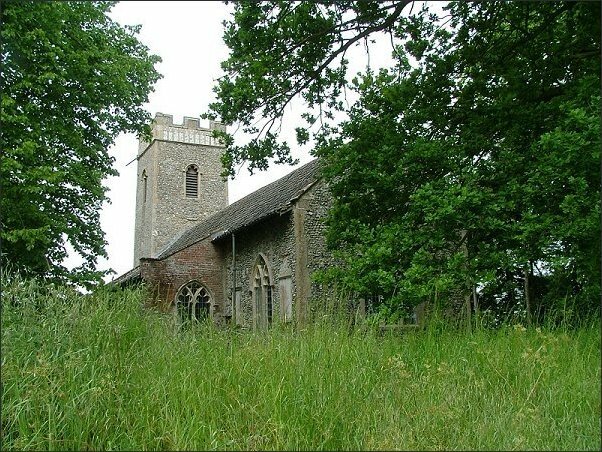 Lost among narrow high-hedged lanes, the church sits on a perfect cushion of early summer wild grasses, the gravestones beginning to disappear. 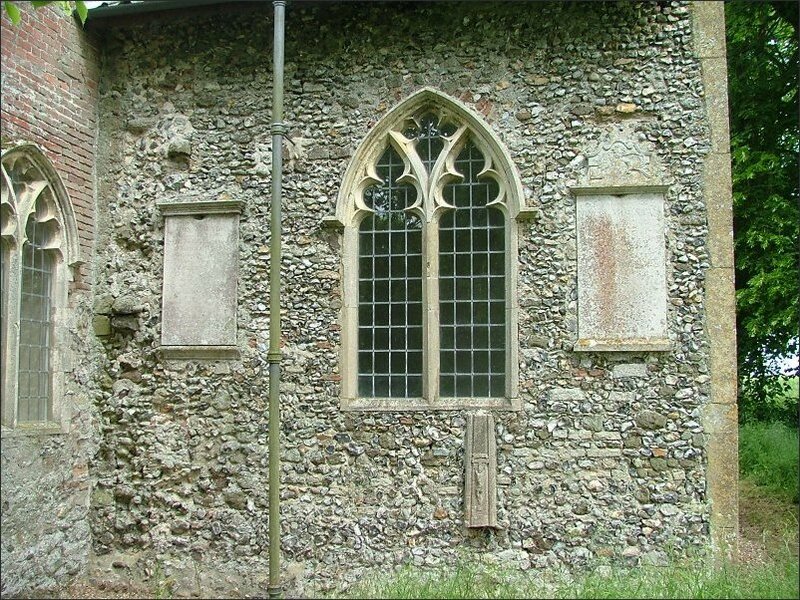 The road beside it has cut down over the centuries, and so you climb up onto the small graveyard, the little church set like a jewel at the heart of it. 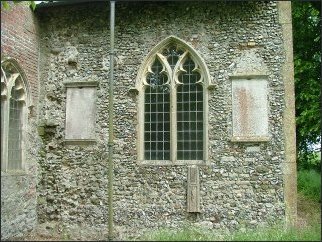 As I explained in the introduction to this piece, this building had a very rocky ride in the 20th century, and was almost lost to us for ever. It is thanks to the enthusiasm of art historian Eve Baker, and the tenacity of the Norfolk Churches Trust, that it has not only survived but is now in the best condition it has been in for centuries. It is open every day. Now in the care of the Churches Conservation Trust, it is neat and bare inside in their usual manner, just a few rows of chairs facing a simple altar in the east. 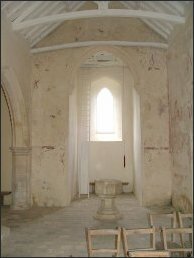 The excellent guidebook tells us that the Victorian font came from nearby Whitwell, the altar from West Runton, and the altar slab actually from this church originally, although it spent some years at the shrine church in Walsingham. The great treasure is the set of wall paintings, dating from towards the middle of the 14th century. 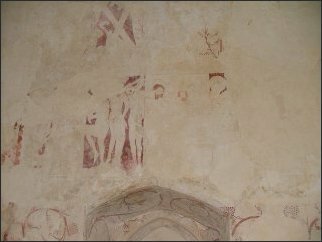 On the south wall, the top row depicts the apostles around the risen Christ, although hardly anything is now discernible other than the cross and lower body of St Andrew. The sequence below is clearer and of greater interest. It shows the Passion of Christ. 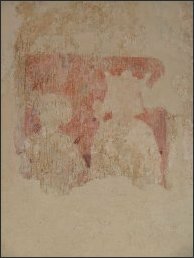 The first panel, which is now lost, was probably the betrayal of Christ. 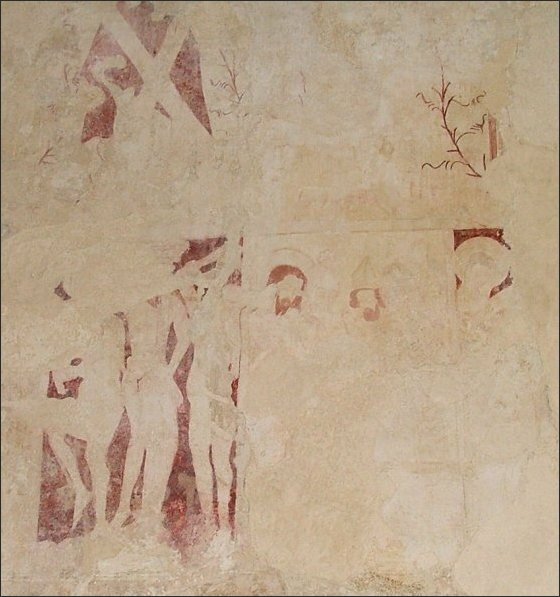 The first panel here shows the flagellation. 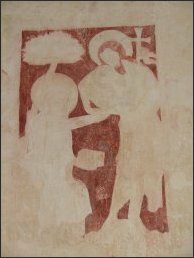 Christ is the central figure, the two whipping guards either side, one with his foot raised in a wicked manner. Beside it are the remains of Christ brought before the high priest, as at Grundisburgh in Suffolk. 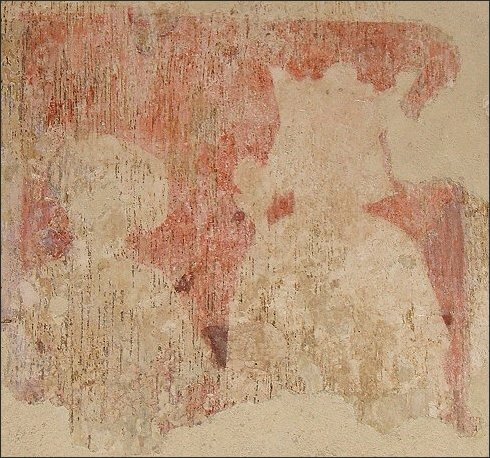 Also fragmentary is the next panel, Christ carrying his cross. 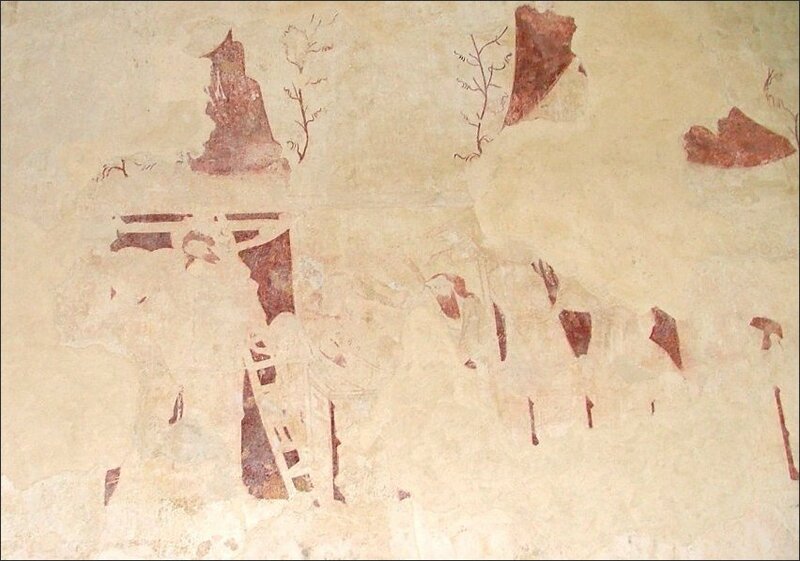 The next panel is apparently the crucifixion, but if you look closely you will see that it is in fact the deposition - Christ being taken down from the cross. 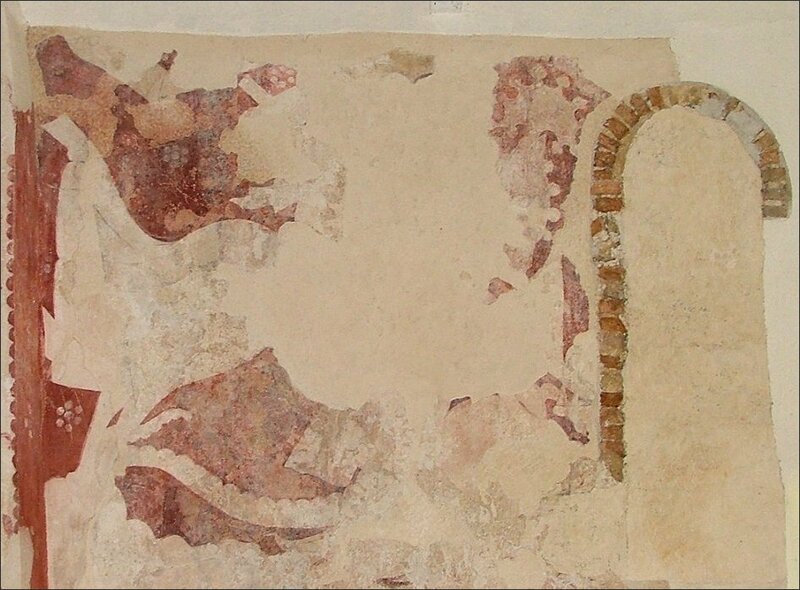 A haunting fragment beside shows Joseph of Arimithea tenderly laying the corpse in its tomb. 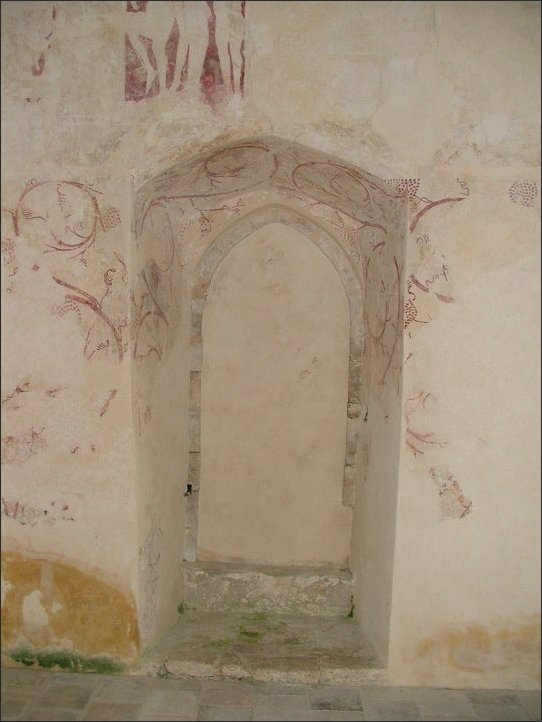 The resurrection is clearer, with the tomb lid upturned and Christ blessing with his hands. 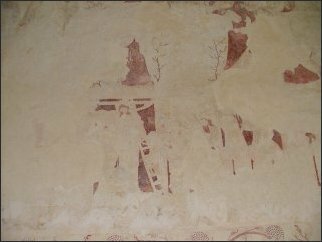 The next panel is lost, but then comes the sequence of the three clearest. 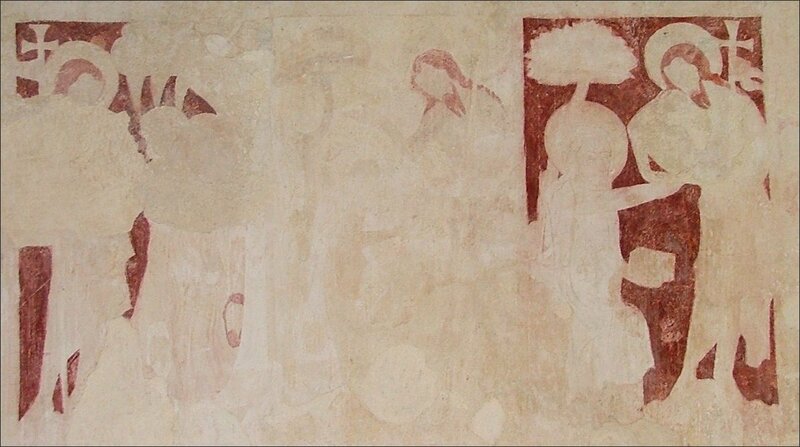 Firstly, the harrowing of hell, with Adam and the other pre-New Testament dead being led out of the mouth of hell. 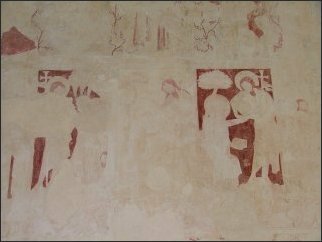 In the next, Christ motions to Mary Magdalene that she must not touch him, the noli me tangere of her visit to the garden. 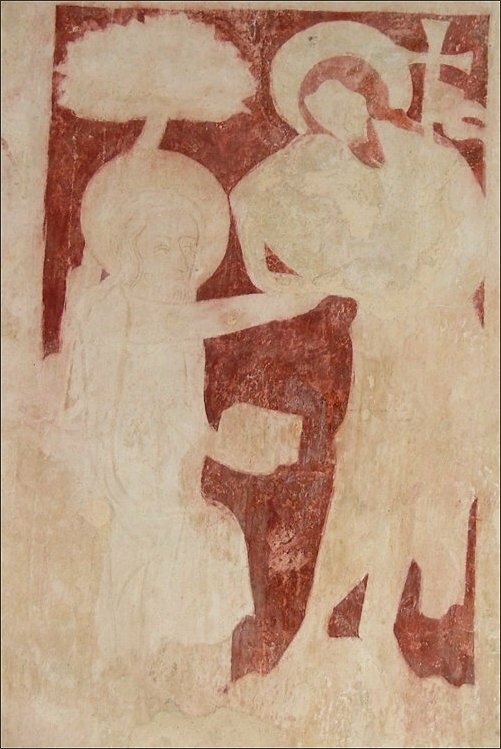 Then, most striking of all, Thomas being encouraged to touch the wounds in the Risen Christ's side. FInally, Christ ascends, watched from below by his disciples. 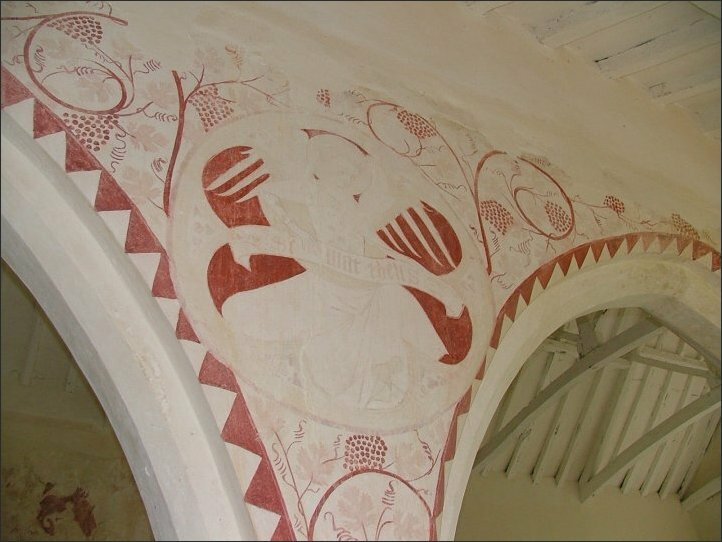 This image is very similar to the roof boss at Salle of the same subject. The wall below is filled with vines and scrolling. 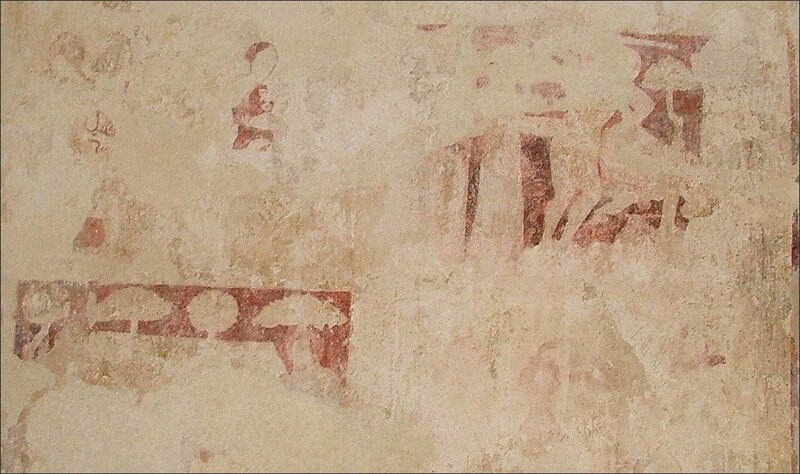 At the far west end is a large panel which probably contained a St Christopher; certainly, there is a fish visible in the lower part. 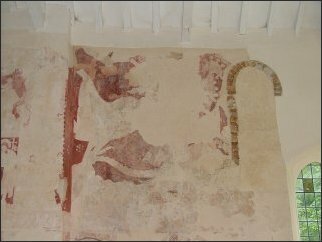 At the east end are the remains of St George killing the dragon, very similar in style to the same subject at Kersey in Suffolk. At the west end were more paintings, including, apparently, the Three Living and the Three Dead, but these are now almost entirely lost. 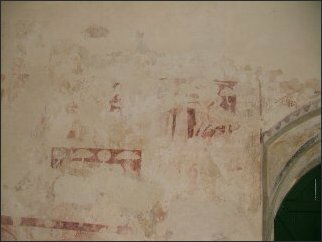 Curiously, there are no paintings on the south wall, but Eve Baker thought that it had been prepared for painting, suggesting that something intervened to stop it happening, almost certainly the Black Death of 1348. 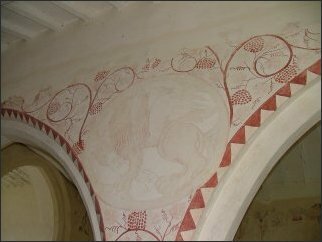 In the south aisle are some paintings that have not been fully identified, but ne appears to show a ram caught in a thicket, and another a king and priest side by side, so they may well be images from the Old Testament. Opposite them on the arcade are huge roundels of the evangelstic symbols; St Matthew and St Mark are fully visible; St Luke to the west has been damaged, and St John in the east, most oddly, has been obscured by the east wall of the aisle being moved a couple of feet westwards, perhaps in the 18th century. The roof above is simple, whitewashed, rustic. 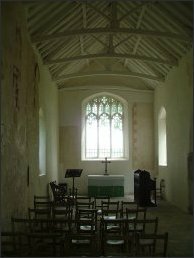 This remote building is so far from civilisation that you would think it little-known, but the visitors book was full of entries, hundreds every year, all making a pilgrimage of sorts, far more than at Great Witchingham nearby. Amazing to think that there might have been nothing left to visit.